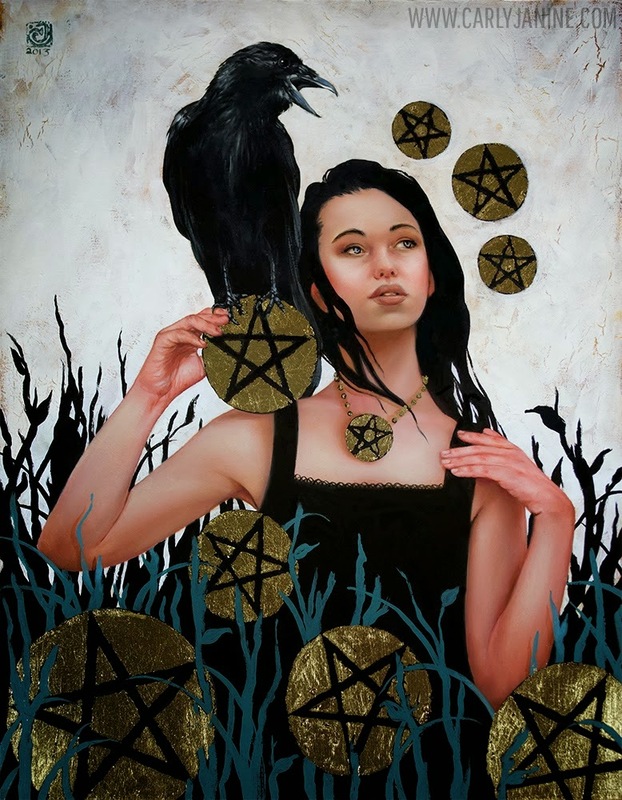 The Nine of Pentacles indicates that you have reached a point in your life where you are feeling self-confident, self-sufficient, independent and free. By acting on your own accord, you have attained well-deserved success and may now enjoy money, leisure time, pleasure, material comfort and rest. 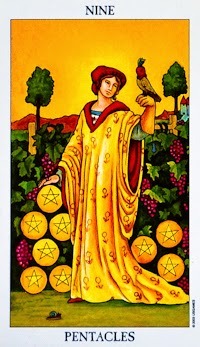 The Nine of Pentacles shows a mature woman walking in the midst of a vineyard. The vines are heavy with grapes and golden coins representing the fruitful accomplishment of all her desires.